Call (586)739-6870 for an appointment! Today's modern anesthetics and monitors make surgery much safer than in the past. While there is some degree of risk with any anesthetic procedure in any patient, we use every precaution to ensure your pet's safety. Your veterinarian will discuss these risks with you, and she will advise you if your pet's health puts him at higher than average risk. Here at the Humane Society of Macomb Animal Clinic, we use an electrocardiograph (EKG) to monitor heart rate and rhythm, blood pressure monitors, respiratory monitors, and pulse oximetry to monitor oxygen levels in the blood. Anesthesia is administered and monitored by licensed veterinary technicians with extensive training, and is supervised by the veterinarian. We do a physical exam on your pet before administering anesthetics, to evaluate your pet's health. We also adjust the amount and type of anesthetic used depending on the health of your pet. Preanesthetic blood testing is important in reducing the risk of anesthesia. All pets 6 years of age and older need blood testing before surgery to ensure that the liver and kidneys can handle the anesthetic. At the veterinarian's discretion, testing may be required in younger patients if health problems are known or suspected. Even apparently healthy animals can have serious organ system problems that cannot be detected without blood testing. If there is a problem, it is much better to find it before it causes anesthetic or surgical complications. Bloodwork is optional in young healthy pets, but is encouraged in these patients as well. Animals that have minor dysfunction will handle the anesthetic better if they receive IV fluids during surgery. If serious problems are detected, surgery can be postponed until the problem is corrected. We offer several levels of blood testing before surgery, which we will go over with you during the examination prior to the day of surgery. Our doctors prefer the more comprehensive screen, because it gives them the most information to ensure the safety of your pet. For geriatric or ill pets, additional blood tests, electrocardiograms, or x-rays may be required before surgery as well. Your pet may have an intravenous catheter placed so that IV fluids may be administered during anesthesia. IV fluids are one of the best things we can do to maximize your pet's safety during anesthesia. IV fluids help maintain blood pressure, ensure good blood flow to the internal organs, and allow us to administer medications faster and more efficiently should they be required to support your pet during anesthesia. Intravenous (IV) fluids are required for all patients 10 years of age or older. They may be required in younger pets if any health problems have been diagnosed or if there are significant abnormalities on bloodwork. With the improvement in anesthesia safety that IV fluids provide, we recommend it for all of our anesthetic patients. Since cost is a concern for many clients, fluids are optional for most young, healthy pets. It is important that surgery be done on an empty stomach to reduce the risk of vomiting during and after anesthesia. You will need to withhold food after 8:30 pm the night before surgery. Water can be left down for the pet until the morning of surgery. For some surgeries, we use absorbable sutures underneath the skin. These will dissolve on their own, and do not need to be removed later. Most surgeries, especially tumor removals, do require skin stitches. With either type of suture, you will need to keep an eye on the incision for swelling or discharge. Most dogs and cats do not lick excessively or chew at the incision, but this is an occasional problem you will also need to watch for. If desired, you may purchase a plastic e-collar which goes around your pet's head like a lampshade to prevent licking at the incision. We will also provide you with a bottle of Bitter Apple, which is a bad tasting liquid to apply around the incision to discourage licking. Do not apply bitter apple directly on the incision itself. If there are skin sutures, these will usually be removed 10 to 14 days after surgery. You will also need to limit your pet's activity level for a time and no baths are allowed for the first 10 days after surgery. Anything that causes pain in people can be expected to cause pain in animals. Pets may not show the same symptoms of pain as people do; they usually don't whine or cry, but you can be sure they feel it. Years ago veterinarians were taught not to administer pain medication to surgical patients for fear the pet would be too active and cause more complications post-operatively. We now know that this out-dated thinking is wrong. Adequate pain control is now deemed essential to assist with proper healing and speed recovery. Ensuring your pet's comfort is of the utmost importance to the veterinarians and staff at the Humane Society of Macomb Animal Clinic. All of our surgical patients receive pain medication. The medications needed will depend on the surgery performed. Major surgeries require more pain relief than things like minor lacerations. The type, dosage, and duration of administration depends on the patient and the procedure performed. Most patients receive a pain injection combined with a sedative to help them relax prior to surgery. An additional pain injection is administered during the procedure as needed. Most cats receive a long-lasting injection that provides pain relief for 3 days. Dogs usually receive oral pain medication to be given at home for several days following surgery. After surgery, pain medication is given on a case by case basis. Any animal that appears painful will receive additional pain medication. Providing whatever pain relief is appropriate is a humane and caring thing to do for your pet. What should I expect the day of the procedure? If your pet is taking ANY medication (other than heartworm preventive or flea/tick treatment) please check with your veterinarian at least several days in advance whether it needs to be discontinued prior to surgery. If your pet has diabetes mellitus (sugar diabetes), your pet will need special instructions regarding insulin or oral diabetes medications. When you bring your pet in the morning of surgery, we will need up to 10-30 minutes of time to examine your pet, fill out paperwork, and discuss any optional services. On most surgery days we are checking in 4-6 patients for procedures that day, so there may be several clients ahead of you. The veterinarian will evaluate your pet and check him in for surgery. You are then free to leave, but we ask that you provide us with a phone number where we can reach you in case we have any questions or concerns. You will be assigned a time for you to pick up your pet that same afternoon, usually between 4:00 and 5:00 pm. We will then administer any preanesthetic medications, which usually includes a pain medication and a sedative. If your pet will be getting IV fluids, we will shave a small area on the front leg and place the IV catheter and start administering fluids prior to the procedure. When it is time for surgery, we will administer an injectable induction agent, which is a short lasting drug that will put your pet under anesthesia. A tube is then placed into your pet's trachea (windpipe) and isoflurane gas anesthesia and oxygen is administered for the duration of the procedure. During anesthesia we monitor your pet's heart rate and rhythm, respiratory rate, blood pressure, and blood oxygen levels. Following your pet's procedure, recovery from anesthesia is monitored by our licensed veterinary technicians. When you pick your pet up after surgery you can also plan to spend about 10 minutes to go over your pet's home care needs. Most pets will be a little groggy, but they are usually able to stand and walk on their own. We will be happy to assist you if your pet needs help getting into your vehicle. Most pets will be tired and want to sleep more for the first 24 hours. This is normal and will gradually improve, although geriatric patients or those having major procedures performed may take a little longer to return to normal. You will receive feeding instructions at the time of discharge, but do not be surprised if your pet is not hungry the first night. 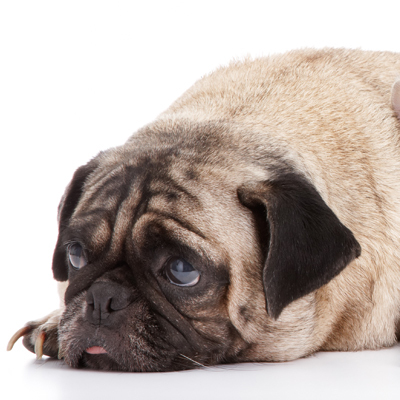 General anesthesia may cause minor nausea in some pets. We will call you the night before your scheduled surgery appointment, to confirm the time you will be bringing in your pet and to answer any questions you might have. In the meantime, please don't hesitate to call us with any questions about your pet's health or surgery.